My good friend Robert Pyne is using up every spare minute before the end of the year. He's just published his 8th community newsletter in a bid to secure support to represent Division 3 in the new Cairns Regional Council. Here's his latest Rock Newsletter, which covers issues in White Rock, Mt Sheridan and Woree and Bayview. Email Robert if you'd like to join his e-list. Undoubtedly Robert has the command of the southern suburbs with his attention to effective communication, impassioned spirit and dedication to challenging the flaws he sees in his community. Whoever runs against Robert in this Division will have a formidable task to gain the amount of attention and support Robert has gained over the last 6 months. 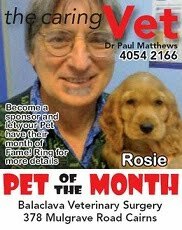 Robert is always keen to put local issues or info in his widely circulated newsletter. His focus is on community-building. A senior assistant of the Cairns Mayor says "leadership is needed." It's about the lack of respect for what local communities want their community to look like and not consulting. It's about treating our ecological environment and native wildlife as movable or replaceable obstacles. It's about not understanding what the tourism brochures market and why over 3 million visitors a year come to see what we have to offer, yet is disappearing under a Byrne-led government. It's about turning Buchans Point, Woree, Clifton Beach into another apartment block. It's about thinking you're smarter than a professor, calling experts neanderthals and saying that we've never ever had a natural disaster ever hit in the history Cairns. It's about not understanding what residents want as a place to live and what we want our children to inherit. It's about missing the point when it's funny to be funny, and when it's simply a bad call to dress up with a tea towel on your head. It's about realising it not a bad idea to turn up to functions on time as every councillor is a servant of the people, not the other way around. It's about the mass ground-swell of informed educated locals that want to put a stop to plunging our lifestyle and the visual appearance in our town. It's about allowing free and fair debate about how a Council uses public funds, instead of suing anyone who speaks out with a different view. 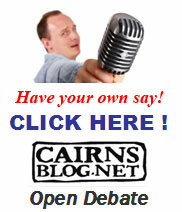 Another fun poll is completed... Looks like the overwhelming thing CairnsBlog readers want is a change in Cairns..
Over and over again they are speaking out. Louder and louder people are now not going to put up with their town being ruined and torn down. Dennis Quick, the Mayor's sidekick (called his 'assistant') is leaving the hallowed halls of privilege and returning to Fishery Falls, but not to fish. Oh no. After trips to China on the residents' purse, Quick highlights the "appearance of the city", and it's "reputation as a livable place" as things the mayor has achieved. Quick also noted that the Mayor's achievements were his "ecological sustainable pursuits." Get me a bucket someone, please. And why wouldn't Denis talk about his own achievements? Well good question you say. The Cairns Post put it down to his "typical fashion", as he'd rather focus on his boss. There is much to make of the mayor's loyal foot soldiers, and their background. One only has to look into his past and the episode in Townsville a few years back. More on that when everyone returns from their holidays. Army mates stick together like GWB to WMDs, as it also seems, from another of the Mayor's employees that has been active in voicing his democratic right that we've extended to him here on CairnsBlog. Evidently being ex-military is a primary pre-requisite to achieving in local body politics. Ex. Army Majors and experienced ex. Mayors can provide that leadership. There are many hard decisions to be made and these decisions need to be made quickly, and with sound judgement. If not Cairns will suffer. Be very careful how you vote next Cairns Regional Council election. It's a sad day when this is the best defence the incumbent mayor and his loyal lads can put up to retaining the same build-em-up mentality. They also now infamously employ the tactic of using legal action to silence open debate about issues that are of importance to the community. This has to cease. Dennis Quick was the Council go-between in the legal action Mayor Byrne took out to silence CairnsBlog from debating his 7 or more all-expenses paid trips to China on our money. It was this forum that asked many questions about the purpose of this Council to spend such large amount on money and send a load of officials there every year. 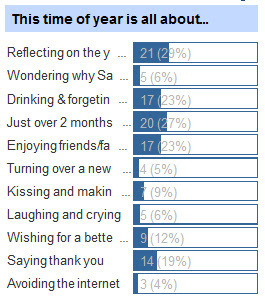 Year in, year out. And what did they do? Give us the answers? No sir ree! Anyway, there's a lot more to the China Syndrome in the Mayor's office than you've heard so far, and we'll be sharing that with you in the New Year. I should also acknowledge all the many supporters that donated to the CairnsBlog Fighting Fund to back our right for free speech in this town. Like Howard, and Brendon Nelson virtually confirmed this after the Federal election, Byrne and what's left in his ratpack, have simply run out of ideas. There's no innovative thinking. There's no plan for the future or engaging the community to seek our input to how this town should be shaped. All we see is an abuse of power and twists and turns when it comes to those that want to have their way on land they have purchased. These ill-thought out multi-story apartment complexes, now sprawling in many communities, have to be curtailed. To suggest that Council and the developers are coming to the rescue of the poor and underprivileged to give them affordable housing, is the worst insult an appointed official can espouse. Their time is up and it's long overdue for a big change of direction in this once beautiful town we call Cairns. I am one of growing number of people around the world who believes the western mass media is deeply dishonest about some very important topics. I believe something must be done to rectify this - urgently. Sad to say, the mass media’s tendency to report selectively is not confined to commercial media. 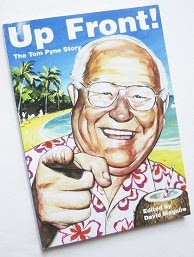 In this tale, written from an Australian perspective, I’ll review an incident that took place overseas several years ago - and the remarkable failure of Australia's premier public broadcaster to report the story. Then I’ll look at equivalent public broadcasters, in Britain and the USA, to examine their bizarre reportage of the same extraordinary event. Publicly-funded mass media can - and should - survive only if they enjoy widespread confidence. Why should the public fund media which lies about very important topics - matters of life and death? Read on - and judge for yourself whether the tangled web woven by these three mass media organizations is evidence of deliberate deception. This is the story of a 47-story building, in a world-famous city, that collapsed several years ago. The collapse was not ‘intended’ - in the sense that this was no listed demolition site. It was a busy office building, occupied by working staff until the previous day. Then, a little more than six years ago, it simply collapsed. As far as I can observe from a search of the ABC’s public web archive, the unexpected collapse of this rather large building has never once been reported by the Australian Broadcasting Corporation. That’s right! A large building (World Trade Center Building 7 - also known as the Salomon Building) drops to the ground in daylight. It was a massive steel-framed concrete construction - built to last. After what appeared to be a localized fire lasting a few hours, the entire structure fell neatly in its own footprint at near free-fall velocity. A couple of qualifications are in order. First, if I missed the story in the ABC's archives, I do apologize and would like to put the record straight. I did find one obscure mention of WTC-7 in an edited ABC talkboard (although re-checking more recently, I'm unable to locate even that). On that particular page, I recall a participant from the general public mentioned the unexplained collapse once. There may be more references to find on the ABC site - but they certainly don't 'stand out'. Second, it is possible the story was reported by the ABC - but that report has not been added to the public web archive. Probably not all ABC reports get archived? Yet the archive is quite comprehensive for major 21st century stories. Big news items are almost always recorded for posterity. Take, for example, the massive blaze that lasted many hours in the Madrid Windsor Building in 2005 (which incidentally didn’t cause the building to fall) . Coverage of that incident can be found easily when searching the ABC's website. In summary, not one significant report about World Trade Center 7, the remarkable 47-storey collapsing building, seems to have survived (if it ever existed) in the ABC archives. In case you weren’t previously aware of the event under discussion, WTC-7 collapsed in the late afternoon of September 11th 2001. 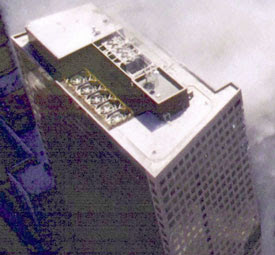 A smaller building than the Twin Towers (WTC 1 & 2), it was partially on fire for only a few hours before falling to the ground. Now of course, the collapse of the Twin Towers was widely reported by the Australian media. You may feel therefore consider, as the demise of their smaller sibling resulted in no apparent loss of life, that not reporting WTC-7's mysterious drop was a permissible oversight. Perhaps so. Before making a judgment about that, let's review equivalent coverage by the ABC’s sibling organizations. Australia’s ABC was largely based on its British counterpart, the well-respected BBC – a veritable institution of public broadcasting with increasingly global reach. How did the BBC dealt with the collapse of WTC-7? Did it also ignore the event? Not at all! The BBC covered the collapse on the day, quite promptly. The remarkable thing, it turns out, is how promptly! Early in 2007, a sharp-eyed skeptic trawling through tapes of the BBC’s live media coverage of the 9-11 atrocity, discovered to his amazement that the BBC actually reported the collapse half an hour before it happened! This extraordinary, quite unprecedented collapse of a steel-framed concrete tower block - an event essentially unreported by Australia’s mass media - was noted by the flagship British broadcaster in advance. When the footage in question was brought to the attention of the BBC (and tens of thousands of interested citizens around the world who track the mystery of 9-11 via the internet) , the discovery caused quite a stir at BBC HQ. Unable to deny the accuracy of the video footage or its astonishing timing, the BBC eventually settled on the position the premature report was simply a ‘mistake’. The BBC's News Editor attempted damage limitation partly by rebutting ‘conspiracy theories’ about the overly-prescient report in his official BBC blog. He has permitted (moderated) reader responses to be posted. See them here and here. Nearly a year later, alarmed, angry and concerned people are still demanding an adequate explanation from the BBC. It doesn’t seem we’re going to get one... anytime soon. Significantly, the BBC hasn’t reported on its own miraculous reporting in on BBC news or current affairs (nor has ‘Our’ ABC for that matter). You’ll only find out about this story if you are looking for it. Precognition at the Beeb? Nothing to see here, folks! Move along! 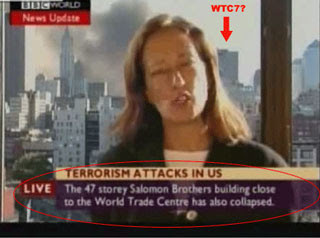 So, perhaps the ABC was right to be cautious about telling the tale of WTC-7? 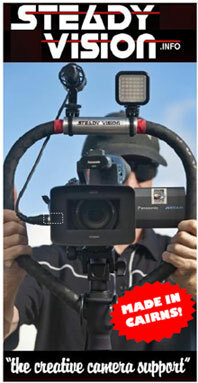 The story is a minefield for public broadcasters! Even so, after a seemly six year delay, perhaps there's an opportunity for the ABC to break its silence on the topic and leap-frog the competition? It’s about time Australian journalists got a real scoop. If the ABC does investigate the case, a call to the influential and well-resourced Lowy Institute for International Policy might be useful. Scarcely a week goes by without the Lowy Institute pronouncing on one or other of the topics de jour… climate change, terrorism, the world economy etc. The ABC runs frequent stories about the Lowy Institute's latest opinions, which it seems to hold in very high regard. The Lowy Institute was founded by billionaire-philanthropist Frank Lowy. Sometimes described as the richest Australian, Lowy had a long and interesting career that included a spell, early on, as a warrior in the Haganah during the Israeli ‘War of Independence’ (which others call the Nakba). Lowy settled in Australia in the 1950s and became a shopping center magnate. Lowy’s global corporation Westfield has been exceptionally successful in the USA, where it operates under the name of ‘Westfield America’. In 1997, Larry Silverstein was appointed to the board of Westfield America.Now, Larry Silverstein was the leaseholder on WTC 7 – and also the leaseholder for the Twin Towers – at the time of the September 11th mass murder. Silverstein was interviewed by America’s public broadcaster (PBS) a year or so after the attacks. In that interview, he made the extraordinary statement that the order was given during the afternoon of September 11th to ‘pull’ WTC-7. Now, that remark implies that the building was pre-rigged with explosives – a very odd suggestion indeed. A controlled demolition of a tower block cannot be carried out in a few hours. It requires days, if not weeks, of careful preparation. America’s mainstream media hasn’t followed up Silverstein’s gob-smacking admission. Perhaps it feels he deserves a little privacy to get on with his life? Nor, it seems, have the US law enforcement authorities bothered him unduly. However, Australia’s very own Frank Lowy is presumably on first name terms with the New York developer. Frank must be able to pick up the phone and ask Larry exactly what happened with WTC-7 and what he meant by ‘pull it’. Publishing Larry’s clarification might just give this aspiring research organization a world exclusive. NPR has an interesting feature on the evolution of blogs. Gaius Julius Caesar is lauded as a historical precursor to the military blog. It was unprecedented to have detailed war diaries published back in Rome, and it was part of why he became so popular with the Roman people, outside the Senate. This is the view that is being created on the northern beaches. Once, only a design of the inner city, now Clifton Beach is being subjected to 5 story high rise-residential apartments across their landscape, right alongside Residential 1 housing. This is a view of Clifton Waters development. There are 5 levels. The ground level is a car park. The foreground is graded Residential 1 and you can just start to see a ground level home being built. This apartment highrise is, by any judgement, incongruous with the surrounding area. This is another example of one seriously incompetent and dangerous Cairns City Council to allow this type of environmental destruction. This photo is of Clifton Views, however what views the eventual residents see is questionable. This development is located on the other side of Clifton Road to Clifton Waters (both being built by Glencorp) with construction just commencing. There are around 25 complexes with 246 units going in on this site. Council have given dispensations given on proximity to Deadman's creek, only 10m. The building takes up about 90% of the land site. 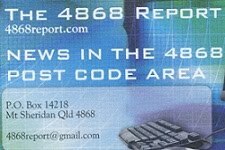 If you think anything on this site breaks any law (including the laws of defamation or privacy), contact me Mike@CairnsBlog.net. I’m likely to take it down while I consider the matter more carefully. If it can be shown that I’ve made a mistake, I’ll correct it promptly and prominently. By “mistake” I mean anything non-trivial that is misleading. If you think I’ve screwed up, email me. If I don’t agree that I’ve made a mistake, I may still post a note referring to the point of contention. If you think I’ve been unfair on you, I’ll give you a right of reply. Again, email me. If I can’t resist the temptation to reply to your reply, I’ll give you a reply to that as well, until one of us gets sick of it. I reserve the right to edit or delete any comments. I need to retain this right to comply with the laws of contempt, defamation, privacy etc. I will make it clear where there are edits. Thanks to KiwiBlog, I was reminded of the infamous Hooters bar chain in the US with their update of the old festive favourite, Little Drummer Boy. Yesterday afternoon I went for a drive around some of the northern beach suburbs. Whilst there's a lot of building in progress around Trinity Park, Kewarra and even heaps in Trinity Beach, Clifton Beach stands out like a proverbial sore thumb. Under construction is ghetto after ghetto of GlenCorp 4-story apartments. I couldn't believe my eyes. I had 3 viistors from inter-state with me and they were shocked at the way in which all this housing is being crammed in like sandwiches. "It's what you'd expect in a inner city, but not along a coastal beach," one of them said. I'll pop back up there soon and get a few photos for southern readers. If you live around Clifton, please feel free to email me a few images, along with your comments. Clifton's becoming ghastly sight, no matter which way you look at it. 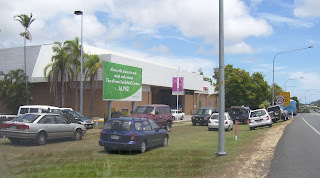 First as you enter the beach road, from the northern entrance, next to the small BP servo, that is also surrounded in 3 story high high-density apartments. This sight mirrors GlenCorp's abortion at Woree where there are 3 rows deep or 4 story high apartments. It's a catastrophe in the making of this warped Council's idea of planning. You really have to ask which Cairns City Councillor was asleep on the job, ignoring the locals at Clifton Beach? Then driving in on the left hand side of the Clifton Beach road, there's acres and acres cleared with the first lot of what appears to be 100's of more apartments under construction. I can see why the folk on the beaches are so defiantly angry at their Council for allowing such an environmental disaster like these massive blocks of concrete to be built. What is the Council creating of our once beautiful beach suburbs? What a legacy that will take years to reverse once this Council is thrown out and a chance of mentality is bought in. It's now very obvious that the CairnsPlan is a guide that's not only being abused and ignored, this very document means little about good strategic planning for our long term future. Every month, we see more and more of these eyesores being approved and updated with more units added moments before submission and approval. The hillslopes are being subjected to changes to suit the mood of developers, not the residents, who are the guardians of our land. River easements are being stuffed around with. Trees chopped down to suit developers needs. What a grossly incompetent Council and the way in which the town planners are enacting local laws. It's long overdue for an uprising to get rid of a mob so out of touch with how they are mismanaging our precious local resource. Helen Tunnah of Mareeba has the right idea when she writes in today's Cairns Post. 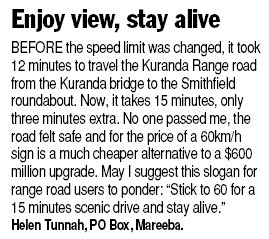 Helen provides a start, more economical and greener solution to the Kuranda Road debacle... simply stick a 60k speed sign up... and hey presto! I dead set against stuffing around with the Kuranda Road and don't for a minute believe the best solution has been arrived at. In most other eco-sensitive destinations around the world, a 4-lane highway through this kind of rainforest would be the last thing to be considered, not the first. To suggest that much of the forest wouldn't be effected is stupid, as would the remote villages of Myola and surrounding Kuranda. This government seem to be all quick off the marks to build and build bigger. When will they learn that this "progress" is not sustainable. If you can't say something good, go home! In Proud to continue Nixon's endless war I quoted from early 1970s Oval Office transcripts, poking fun at what I called the “intellectual foundations of the War on Drugs”. I think it was fair comment. 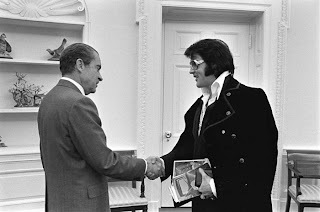 But to be completely fair, while Nixon “declared War” on ‘drugs’, the prohibition of cannabis and other ‘illicit drugs’ came earlier and Nixon was not responsible for that. How solid then were the intellectual foundations of those earlier steps to criminalize cannabis? Is that when a strong case was made, using hard evidence and logical rigor? In 1995, Charles Whitebread, Professor of Law, USC Law School, presented a speech to the California Judges Association annual conference, entitled The History of the Non-Medical Use of Drugs in the United States. The entire speech is fascinating. Over the years, I’ve read and heard several rather garbled accounts of this history. Whitebread’s seems more authentic than most. Focusing mainly on changes in legislation, he sourced documents directly from courts and legislatures around the USA instead of relying on secondary references. His short history is also extremely funny. I’d encourage anyone with a sense of humour to read it just for a chuckle! “Now, first again, does everybody see the date, 1937? You may have thought that we have had a national marijuana prohibition for a very long time. Frankly, we haven't. The marijuana prohibition is part and parcel of that era which is now being rejected rather generally -- the New Deal era in Washington in the late 30s. Number two, you know, don't you, that whenever Congress is going to pass a law, they hold hearings. And you have seen these hearings. The hearings can be extremely voluminous, they go on and on, they have days and days of hearings. Well, may I say, that the hearings on the national marijuana prohibition were very brief indeed. The hearings on the national marijuana prohibition lasted one hour, on each of two mornings and since the hearings were so brief I can tell you almost exactly what was said to support the national marijuana prohibition. Now, in doing this one at the FBI Academy, I didn't tell them this story, but I am going to tell you this story. You want to know how brief the hearings were on the national marijuana prohibition? When we asked at the Library of Congress for a copy of the hearings, to the shock of the Library of Congress, none could be found. We went "What?" It took them four months to finally honor our request because -- are you ready for this? -- the hearings were so brief that the volume had slid down inside the side shelf of the bookcase and was so thin it had slid right down to the bottom inside the bookshelf. That's how brief they were. Are you ready for this? They had to break the bookshelf open because it had slid down inside. There were three bodies of testimony at the hearings on the national marijuana prohibition. The first testimony came from Commissioner Harry Anslinger, the newly named Commissioner of the Federal Bureau of Narcotics. Now, I think some of you know that in the late 20s and early 30s in this country there were two Federal police agencies created, the FBI and the FBN -- the Federal Bureau of Investigation, and the Federal Bureau of Narcotics. In our book, I talk at great length about how different the history of these two organizations really are. But, the two organizations, the FBI and the FBN had some surface similarities and one of them was that a single individual headed each of them for a very long time. In the case of the FBI, it was J. Edgar Hoover, and in the case of the FBN it was Harry Anslinger, who was the Commissioner of the Federal Bureau of Narcotics from 1930 until 1962. Commissioner Anslinger gave the Government testimony and I will quote him directly. By the way, he was not working from a text that he had written. He was working from a text that had been written for him by a District Attorney in New Orleans, a guy named Stanley. Reading directly from Mr. Stanley's work, Commissioner Anslinger told the Congressmen at the hearings, and I quote, "Marihuana is an addictive drug which produces in its users insanity, criminality, and death." That was the Government testimony to support the marijuana prohibition from the Commissioner. The next body of testimony -- remember all of this took a total of two hours -- uh .. You understand what the idea was, don't you? The idea was to prohibit the cultivation of hemp in America. You all know, because there has been some initiative here in California, that hemp has other uses than its euphoriant use. For one, hemp has always been used to make rope. Number two, the resins of the hemp plant are used as bases for paints and varnishes. And, finally, the seeds of the hemp plant are widely used in bird seed. Since these industries were going to be affected the next body of testimony came from the industrial spokesmen who represented these industries. The first person was the rope guy. The rope guy told a fascinating story -- it really is fascinating -- the growth of a hemp to make rope was a principle cash crop right where I am from, Northern Virginia and Southern Maryland at the time of the Revolutionary War. But, said the rope guy, by about 1820 it got cheaper to import the hemp we needed to make rope from the Far East and so now in 1937 we don't grow any more hemp to make rope in this country -- it isn't needed anymore. If you heard that story, there are two things about it that I found fascinating. Number one, it explains the long-standing rumor that our forefathers had something to do with marijuana. Yes, they did -- they grew it. Hemp was the principal crop at Mount Vernon. It was a secondary crop at Monticello. Now, of course, in our research we did not find any evidence that any of our forefathers had used the hemp plant for euphoriant purposes, but they did grow it. The second part of that story that, to me is even more interesting is -- did you see the date again - 1937? What did the rope guy say? We can get all the hemp we need to make rope from the Far East, we don't grow it hear anymore because we don't need to. Five years later, 1942, we are cut off from our sources of hemp in the Far East. We need a lot of hemp to outfit our ships for World War II, rope for the ships, and therefore, the Federal Government, as some of you know, went into the business of growing hemp on gigantic farms throughout the Midwest and the South to make rope to outfit the ships for World War II. So, even to this day, if you are from the Midwest you will always meet the people who say, "Gosh, hemp grows all along the railroad tracks." Well, it does. Why? Because these huge farms existed all during World War II. But, the rope people didn't care. The paint and varnish people said "We can use something else." And, of the industrial spokesmen, only the birdseed people balked. The birdseed people were the ones who balked and the birdseed person was asked, "Couldn't you use some other seed?" These are all, by the way, direct quotes from the hearings. The answer the birdseed guy gave was, "No, Congressman, we couldn't. We have never found another seed that makes a birds coat so lustrous or makes them sing so much." So, on the ground that the birdseed people needed it -- did you know that the birdseed people both got and kept an exemption from the Marihuana Tax Act right through this very day for so-called "denatured seeds"? In any event, there was Anslinger's testimony, there was the industrial testimony -- there was only one body of testimony left at these brief hearings and it was medical. There were two pieces of medical evidence introduced with regard to the marijuana prohibition. The first came from a pharmacologist at Temple University who claimed that he had injected the active ingredient in marihuana into the brains of 300 dogs, and two of those dogs had died. When asked by the Congressmen, and I quote, "Doctor, did you choose dogs for the similarity of their reactions to that of humans?" The answer of the pharmacologist was, "I wouldn't know, I am not a dog psychologist." Well, the active ingredient in marijuana was first synthesized in a laboratory in Holland after World War II. So what it was this pharmacologist injected into these dogs we will never know, but it almost certainly was not the active ingredient in marijuana. The other piece of medical testimony came from a man named Dr. William C. Woodward. Dr. Woodward was both a lawyer and a doctor and he was Chief Counsel to the American Medical Association. Dr. Woodward came to testify at the behest of the American Medical Association saying, and I quote, "The American Medical Association knows of no evidence that marihuana is a dangerous drug." What's amazing is not whether that's true or not. What's amazing is what the Congressmen then said to him. Immediately upon his saying, and I quote again, "The American Medical Association knows of no evidence that marihuana is a dangerous drug. ", one of the Congressmen said, "Doctor, if you can't say something good about what we are trying to do, why don't you go home?" That's an exact quote. The next Congressman said, "Doctor, if you haven't got something better to say than that, we are sick of hearing you." Now, the interesting question for us is not about the medical evidence. The most fascinating question is: why was this legal counsel to the most prestigious group of doctors in the United States treated in such a high-handed way? And the answer makes a principle thesis of my work -- and that is -- you've seen it, you've been living it the last ten years. The history of drugs in this country perfectly mirrors the history of this country. So look at the date -- 1937 -- what's going on in this country? Well, a lot of things, but the number one thing was that, in 1936, President Franklin Roosevelt was reelected in the largest landslide election in this country's history till then. He brought with him two Democrats for every Republican, all, or almost all of them pledged to that package of economic and social reform legislation we today call the New Deal. And, did you know that the American Medical Association, from 1932, straight through 1937, had systematically opposed every single piece of New Deal legislation. So that, by 1937, this committee, heavily made up of New Deal Democrats is simply sick of hearing them: "Doctor, if you can't say something good about what we are trying to do, why don't you go home?" So, over the objection of the American Medical Association, the bill passed out of committee and on to the floor of Congress. Now, some of you may think that the debate on the floor of Congress was more extensive on the marijuana prohibition. It wasn't. It lasted one minute and thirty-two seconds by my count and, as such, I will give it to you verbatim. The entire debate on the national marijuana prohibition was as follows -- and, by the way, if you had grown up in Washington, DC as I had you would appreciate this date. Are you ready? The bill was brought on to the floor of the House of Representatives -- there never was any Senate debate on it not one word -- 5:45 Friday afternoon, August 20. Now, in pre-air-conditioning Washington, who was on the floor of the House? Who was on the floor of the House? Not very many people. Speaker Sam Rayburn called for the bill to be passed on "tellers". Does everyone know "tellers"? Did you know that for the vast bulk of legislation in this country, there is not a recorded vote. It is simply, more people walk past this point than walk past that point and it passes -- it's called "tellers". They were getting ready to pass this thing on tellers without discussion and without a recorded vote when one of the few Republicans left in Congress, a guy from upstate New York, stood up and asked two questions, which constituted the entire debate on the national marijuana prohibition. Kirsten Lesina, candidate for Division 4 and Richie Bates running for Division 5 in the 2008 Cairns Regional Council elections, are calling on all divisional candidates to declare whether they will be full-time Councillors if they are elected. "We all know that there are some current Councillors who own or run businesses," Kirsten Lesina says. "These Councillors, and all other candidates, must declare whether they will devote all of their working time to their constituents or whether they will neglect them in favour of their own personal interests." "I call on all candidates for the March 2008 Cairns Regional Council election to declare their intention, so that voters can make an informed choice on March 15," she says. Richie Bates, candidate for Division 5, agrees. "With the salary that Councillors in the Cairns Regional Council will be receiving, they have no excuse for not treating their role as Councillor as a full-time job," Mr Bates said. "Councillors who do not work as a full-time councillor will be short-changing the residents who elected them." Both Lesina and Bates are members of the Cairns 1st Alliance. "If I am elected, I will work as a full-time councillor, addressing the issues and concerns of the residents I represent." Lesina says. "To do otherwise is not repaying the trust that voters place in a Councillor when they elect them." The State Government recently announced that Cairns Regional Councillor salaries will range between $75,940 and $88,590 pa.
"This is enough to attract high quality candidates who will work full-time for their constituents." says Richie Bates. If someone decides to run for Council, then one assumes that they have thought long and hard about what they will be doing about their current "day jobs", a commenter posted on CairnsBlog recently. "my wish list is for councillors to not have their fingers in so many "development pies". Too many councillor's leave meetings because there may be a "conflict of interest" with the Development Approval before council. In the last meeting Councillor Ford left because of MCU Multi Unit Apartments, Councillor James MCU Multi Unit Apartments and Business Facilities. I have lost count as to how many times Councillor Freebody leaves the Meeting Room. If Paul Mathews or any of the other candidates named in "Factmans" comment left because they had an interest in a development that required a MCU, I would have the same view. With just three sleeps to go, 32 year old David Hicks will make a statement as he leaves Yatala Prison on Saturday morning. 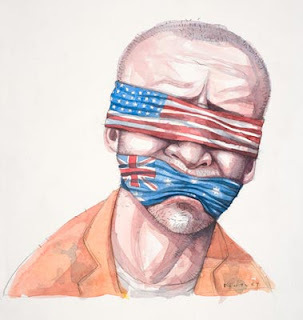 After nearly six years of imprisonment in the US Guantanamo Bay Detention Camp, following another 9 months in Australia's Yatala Prison to silence him before the Federal election, there is huge worldwide interest in his release. Hicks' lawyer, David McLeod said "He's going to say whatever it is, either personally or through his family members on Saturday morning - that's when the event will be," he said. David Hicks will be placed on an interim control order, which includes a midnight to 6am curfew and reporting to police three times a week. Terry Hicks said that the magistrate based his decision to impose a control order, the second only Australian to receive one, on evidence dating back 5 years. Hicks was charged by a US military commission in August 2004, however that commission was subsequently abolished and the charges voided in June 2006, when the United States Supreme Court ruled that military commissions were illegal under United States law and the Geneva Conventions. The indictment prepared for the previously scheduled trial had alleged that Hicks had trained and conspired in various ways, and was guilty of "aiding the enemy" while an "unprivileged belligerent". No specific acts of violence were alleged, and he was detained in December 2001. Audio: Court announces Hicks's control order (ABC The World Today). This comment was posted earlier by a regular on CairnsBlog "Captain Cairns". I felt it deserves top billing! A great mayor would be a popular mayor, someone who is friendly and approachable, someone people look up to. Tom Pyne had these qualities. Always seemed to have a smile on his face, and was no doubt popular, they way he annihilated Kevin Byrne in the amalgamation election of 1995. Byrne may have won the last 2 elections, but both were only by very small margins, and that was from his dominant developer funded election campaign, where he had 8 times as many ads as Val Schier, and still he only got 52% of the vote. A good, a real mayor would stand tall for their community, like Kieth Goodwin back in the late 80's. He was down there on the Esplanade, loudspeaker in hand, working up the crowd to say "NO!" to the proposed Trinity Point project. 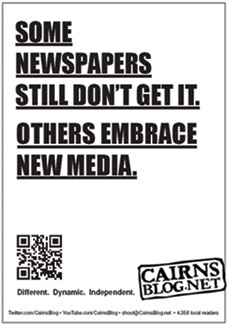 Imagine how different, and better, Cairns would look today if he was still mayor? A good Cairns mayor would promote the distict far northern lifestyle, not try and turn us into a commercial, money-hungry, tie-wearing, air-conditioner loving, corporate zombies. Back to Keith Goodwin again. He had signs put up at the airport back in the late 80's, early 90's saying 'Cairns is a tie-free zone, please remove your ties'. Remember the photo from a few months ago for the latest amalgamation committee, bringing together Cairns and Douglas Shire. There was Mike Berwick is his smart casual attire, and there was Byrne and Terry James with their business shirts and ties on. A real mayor is someone who deeply cares for his town. Not someone who is is just in the job for the power and stature. Cairns needs to be reminded that when KB was booted out in 95, he left town very quickly, only to return when he heard his nemisis Tom Pyne was retiring. He has even remarked since, that he would do it again if he were ever to lose office. Is that someone who truly cares for Cairns?, or just someone looking after their own self-interest. It is painstakingly obvious, Byrne does not deserve to be our mayor. We have a chance coming up in March to change things for the better around here. It is long overdue. An eagle-eyed CairnsBlog reader just sent these photos in, after returning from Smithy this morning. Personally, I avoid shops like the plague around this time of year. About as much fun as a Chamber of Commerce luncheon with Mayor Byrne as guest speaker and in a silly dress. Following a great deal of discussion on here recently about inadequate parking at Cairns Central Shopping Centre, where Council workers and the like use it willy nilly, we learn this problem is a pattern created by poor planning from our friends at Cairns City Council. They have not helped manage this situation at all. We see similar parking problems when the Mayor signs off on new multi-story high density apartment blocks all over the region. This is his favourite pastime: seeing these monstrosities go up in almost every suburb. With GlenCorp's new 320 apartment block on the site of the old caravan and camping site in Woree coming on line soon, it is hard to believe there will be spaces on site for 600 car parks. By the way, I just typed in Glencorp.com.au and got: "This Account Has Been Suspended. Please contact the billing/support department as soon as possible. 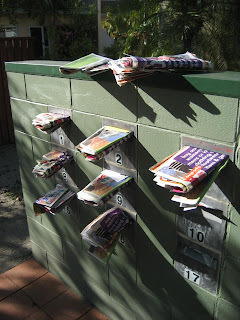 From: justpurple.com.au Looks like someone didn't pay their bill or sell enough shoe boxes. Infrastructure planning is something you expect of a good local government. As this is the first Christmas season after the expansion of Smithfield Shopping Centre, which added a large number of new shops to the Centre, but no new parking. This is on top of the growth of the Northern Beaches. Our Council just recently authorised Smithfield to build five movie theaters, also with no new parking requirements. See these photographs, although it has been this way all weekend - cars parked along the Cook Highway. 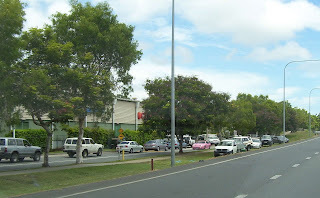 Vehicles pulling in and out of the road directly from these illegal car parks, putting approaching traffic in jeopardy, and all without new movie theatres. What will it be like next year with a larger population and five movie theatres and no more parking? Council always tells the community "these buildings are complying with the building code", however it is obviously grossly inadequate. Haven't we learned anything from the mess Brisbane has been turned into by "small thinkers"? Thanks Cairns City Council - for no leadership or planing for the future. Where will you 'celebrate' the day? Do you avoid get involved in the whole affair? Do you think giving is driven by commercial marketing other than a real desire to acknowledge others who are important to you? Do you simply like the time away from work? Some mayors leave office a legend, having achieved great visions for their population. Others will leave office will be remembered for years environmental destruction and 35,000 apartments as their "gift" to the city. Sir Charles Kingsford Smith . . . he was born in the Brisbane suburb of Hamilton in 1897 and set many records with pioneering flights before disappearing in the Bay of Bengal in 1935. HE is revered as Australia's greatest aviator, and stories of his feats are included in our nation's history books. But long before Sir Charles Kingsford Smith made a name for himself in 1928 with his record-breaking crossing of the Pacific from California to Brisbane, his grandfather had ensured his own name would never be forgotten, at least by the people of Cairns. 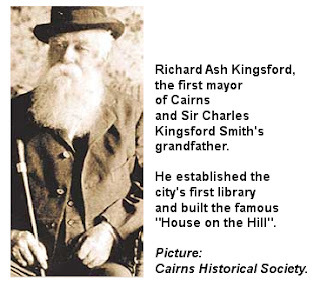 As well as being the first mayor of Cairns, Smithy's grandfather, Richard Ash Kingsford, also built a landmark that was to keep watch over the town for most of this century and ensure his memory lived on well after his death in 1902. Kingsford arrived in the frontier town of Cairns in 1883 after an eight-year stint as member for South Brisbane in the Legislative Assembly and a one-term Brisbane mayor in 1876. It was not politics that lured him north but the dream of buying a large block of land on the banks of the Barron River and settling down to grow sugar cane. Upon his arrival, he settled near Kuranda and grew fruit for a time but his love of politics soon proved too strong a force to resist and he was elected chairman of the Cairns Divisional Board in 1884. Cairns was proclaimed a municipality a year later and in the council's first meeting on July 22, 1885, Kingsford's fellow councillors unanimously elected him mayor. I blogged the other day about Liz becoming the oldest monach. The Royals have recently set up her own royal channel on You Tube, where you can discover some great historical footage. This year's Queen's speech will be online 3pm GMT on Christmas Day. You can also read past transcripts. 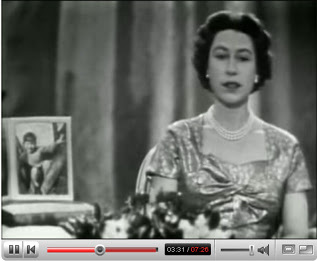 Here's the first televised Christmas message in 1957. Something for you to do amid the turkey and cranberry and that rude drunken visiting uncle tomorrow afternoon. Fiona Tulip, president of the Combined Beaches Community Association writes about a Council, a "diseased tree", and some silly decisions. All we can say is look out Port Douglas after the March local body election if this mob stay in. An issue arose recently that probably shouldn’t have! 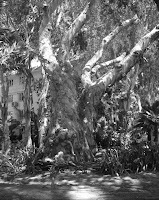 A large Melaleuca tree on the corner of French Street and Williams Esplanade, Palm Cove was advertised by Cairns City Council as possibly being diseased (read here…. and ‘may have to be removed’). Well, once the word got out, everyone was incredulous that such an iconic tree, possibly more than 300 years old, would be for the chopping block. I personally went down and inspected the tree. Not a dead leaf to be seen, let alone a dead limb or any sign of disease! I could see however, that the extensive drainage works for the street were going to be on all sides of this tree and in reasonable proximity to the tree. Was the tree really diseased or was the tree being promoted as being diseased for convenience purposes?Which brings me to my point about the Council not having a current and properly maintained ‘Significant Tree Register’. The Council does have Local Law 24 (Vegetation Protection), a “misnomer” if ever there was because in reality, it doesn’t protect. One can make application to protect a tree or particular vegetation but even if it is granted, it will still be at risk under Section 22 “exemptions.” As we saw recently with the planning for drainage works at Palm Cove and on other construction sites, this law is no where in sight so perhaps it is just another policy that lives in the Mayor’s bottom desk draw! After the initial claim was made that this tree might be removed, Palm Cove traders and residents alike were dismayed that this might even be considered. An article in the Cairns Post saying the tree had been given a clean bill of health was in fact the journalists words, not Cr Bonneau’s. The Combined Beaches Community Association followed up with the Councillor to clarify and obtain in writing a guarantee the tree would be retained, only to receive a reply stating that no such guarantee had been given and the tree’s fate was still very much in dispute. During this process CBCA had engaged one of Australia’s leading tree surgeons in preparation to counter any claims of disease by Council. The surgeon said that there was no doubt that this tree was standing when Captain Cook sailed by and he would be more than happy to have this monstrous tree standing next to his home. Thank goodness common sense prevailed. The Association will endeavour to see that this great tree is “listed” somewhere in Council. Charlie's just happy to be the member for Rustys. After months in the media spotlight about everything from a fart to a fanfare, Charlie McKillop is taking it easier now, following her hopes of trying to secure the seat of Leichhardt in the Federal election. She's now in the middle of Rustys most market days trading with Theresa Love and the team from Wild Prawns, which profess to be "fresher, cleaner, tastier". 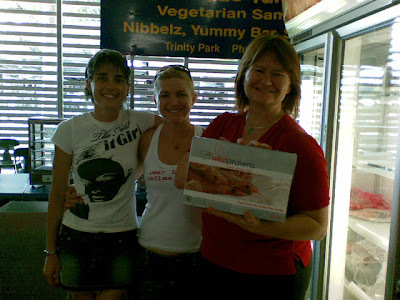 You can also pick some of their yummy freshly caught - not frozen - seafood at 39 Tingira Strteet, Portsmith. Charlie said she's got mixed feelings about the campaign, however she's certainly happy just to be selling seafood, where you meet real people. Charlie also writing on a great local blog called, wait for it, Kitchenslut. It's all about food in Cairns, with a new independent focus on reviewing local restaurants and cafe's. "Too long have we put up with the failure of our media to provide anything other than advertising mush," says KitchenSlut, "We may also delve into other lifestyle aspects in Cairns related to food or entertainment." It's rather tasty. Check it out. Nearly a kilo of fresh prawns later, for just 15 bucks, I leave the markets and head home to fire up the barbie. Sacha Baron Cohen, the talented actor behind his lauded and awarded comic creations of Borat and Ali G, is saying goodbye to them. He became a comedy superstar as Borat, the outrageously anti-Semitic, homophobic reporter from Kazakhstan where he became a cultural icon lampooning and offending virtually anyone. 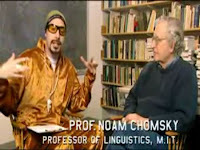 The wannabe-gangsta-rapper Ali G humiliated people he interviewed. Cohen has announced that due to having become too familiar to the public, the characters of Borat and Ali G will be retired. "When I was being Ali G and Borat I was in character sometimes 14 hours a day and I came to love them, so admitting I am never going to play them again is quite a sad thing," he told the Telegraph in London. "It is like saying goodbye to a loved one. It is hard, and the problem with success, although it's fantastic, is that every new person who sees the Borat movie is one less person I 'get' with Borat again, so it's a kind of self-defeating form, really." "It's upsetting, but the success has been great and better than anything I could have dreamed of." Cohen has had some troubles due of racist or prejudiced comments his characters make. His characters deliver an obvious satire that exposes people's ignorance and prejudice. A great deal of humour uses this premise. The anti-Semitic Borat, Cohen says the segments are a "dramatic demonstration of how racism feeds on dumb conformity, as much as rabid bigotry," rather than a display of racism by Baron Cohen himself. "Borat essentially works as a tool. By himself being anti-Semitic, he lets people lower their guard and expose their own prejudice," he says. "I think that's quite an interesting thing with Borat, which is people really let down their guard with him because they're in a room with somebody who seems to have these outrageous opinions. They sometimes feel much more relaxed about letting their own outrageous, politically incorrect, prejudiced opinions come out." Cohen, the grandson of a Holocaust survivor, says he also wishes in particular to expose the role of indifference in the genocide. "When I was in university, there was a major historian of the Third Reich, Ian Kershaw, who said, 'The path to Auschwitz was paved with indifference.' I know it's not very funny being a comedian talking about the Holocaust, but it's an interesting idea that not everyone in Germany had to be a raving anti-Semite. They just had to be apathetic." He attended Christ's College at the University of Cambridge where he studied history and wrote his thesis on Jewish involvement in the American Civil Rights movement. 'We should not be afraid of humour and we shouldn't try to control everything' he said. (read hello Kevin Byrne). In the Borat movie, two University of South Carolina students who appear sued the filmmakers, alleging that they were tricked into signing release forms while drunk, and that false promises were made that the footage was for a documentary that would never be screened in the USA. However, a Los Angeles judge denied the pair a restraining order to remove them from the film and the lawsuit was dismissed. Coen is engaged to Aussie actress Isla Fisher, and will wed in a traditional Jewish ceremony. In October, Fisher gave birth to a baby girl. 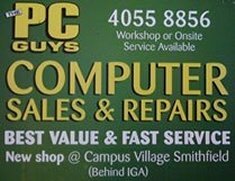 RIP Borat and Ali G.
Every day now, what seems to be a half a tonne of rubbish in the form of pre-Christmas advertising is being dumped in letter boxes in every suburb in Cairns. I've got my share. And it really seems to have little effect with a "No Advertising" message plastered over your box. Whilst I know companies need to advertise their products and services, I detest this form gross invasion. Besides the huge waste that primarily accumulates at the front of the apartment blocks, one of the biggest problems is that those who don't want this stuff, take it out and leave it on the top of the box! I mean, what are they thinking? I've also noticed, over recent weeks, the competition for this advertising medium is upped, as there is more than one delivery a day. Sometimes up to three. So subsequent deliveries then attempt to jam there pamphlets in on top of what else is already in your box. You then need to fight to remove it, only to find it's unreadable and torn to pieces. At least 70% of this material ends up in the waste, and over a week or a month, that's a massive amount of paper. Political conservatives have lost their identity as their agenda has been ripped from under them, writes Peter Hartcher in the Sydney Morning Herald. "There were all sorts of things I wanted to see happen in Australia in his 1985 maiden speech. 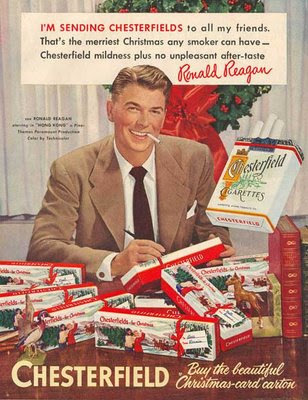 "One was a more deregulated labour market, another was to get rid of tariffs, another was privatisation, another was a broadly based consumption tax; I wanted welfare to work, I wanted to give more substance and meaning to the American alliance and the American alliance in Asia. "Well, by the time I got to 2006, to our 10th anniversary, we'd done all those things. We didn't have the one big idea to crusade on in the 2007 election. We offered really just more of the same." "Socially and politically, America is ripe for a broad historic shift to the Left," Fukuyama says. "It seems to be happening already. "The Republicans lost their majorities in both houses of Congress at the 2006 mid-term election, and now seem likely to lose the White House at the election next November. This is not just a protest against George Bush and the invasion of Iraq, Fukuyama says, but part of a deeper phenomenon. "All the gains from that agenda have been realised. And probably it's gone too far, gone over the line, in terms of tax cuts. You end up with a pretty explosive social situation and the time is now ripe for a swing back" Fukuyama says. "The right is in a lot of trouble. We have rising inequality, bad health care and a failed foreign policy." 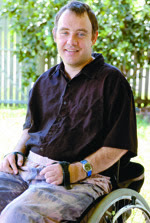 Read Peter Hartcher's full story. I am a Republican at heart. However, today marks the Queen of the Commonwealth, including Australia, becoming Britain’s oldest monarch. Today, Queen Elizabeth II, who will be 82 on April 21, will have outlived her great-great-grandmother, Victoria, who died in January 1901, aged 81 years. The longest serving King was George III, who was 81 years and 239 days when he died in 1820. In Australia we've had just 31 PMs since the turn of the century, whilst Liz is only the 40th monarch since William the Conqueror in 1066. ABC Far North undertook two polls on the Yacht Club. 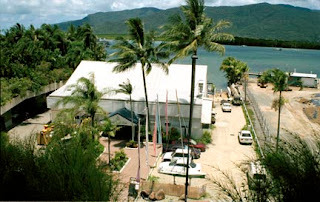 The Cairns Yacht Club is something more than an old building on prime land. This story, and the Cairns City Council's lack of support for it's retention, needs to be told over the coming months, as various greedy hands try to build another bloody highrise on our land and our waterfront. 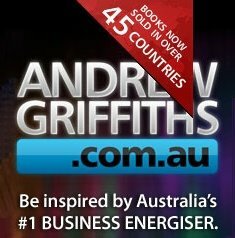 Cairns Tropic Jazz club's website has a shipload of info regarding the dud process of listing, and is well worth a look. Cairns Port Authority, Tourism Tropical North Qld, Advance Cairns, along with Cairns Mayor Kevin Byrne all state that the Club must go. They often cite that it is "out of Council's hands", however any reading of some recent history will show this Council and it's mayor do not favour anything other than developing the site that the 100 year old Yacht Club building sits on. This Council is set on not consulting the people of Cairns about how to use our waterfront, and not advocating that view to the State Government and the Port Authority. A non profit Group dedicated to the preservation of Cultural Heritage. Your letter of the 17th Inst refers : ref : MC07.7831. Your letter does not tell me anything that I don’t already know. In fact I am probably in possession of a lot of pertinent information that you do not have. We know the lengths to which the CPA and your government has gone to get rid of this Historical Building, but we haven’t finished yet. 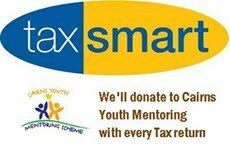 Whilst we have empathy with the Cairns Yacht Club Committee, their future in is their own hands. Under duress they made an agreement with the CPA to move. That is their problem. My group has been single minded fighting to save the Historic Aquatic Clubhouse (existing 100 year old Cairns Yacht Clubhouse) right where the building has been since 1895. A date I might add precedes the Cairns Harbour Board by 9 years. 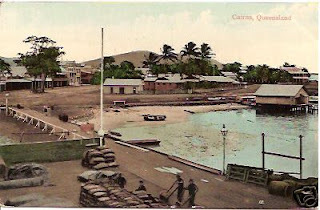 The building had such significance that the Cairns Historical Society mounted a Nomination for State Heritage after previous attempts had been headed off by threats from the CPA on the immediate future of the Cairns Yacht Club. We have all that first hand from previous executive officers of the CYC Committee. Through the freedom of information, we have also obtained a great deal of information about the way the Queensland Heritage Committee dealt with the Nomination. We haven’t been able to prove political interference yet but we are very close to it. “We challenge the sidelining of Dr.Wegner to vote, when the Chairman had publicly stated in the Cairns Post, that he would support the Nomination himself.” Dear me. Because of the Wartime involvement of the Clubhouse, we have launched a National Nomination. That is with the Federal Minister for Heritage as I write. That may or may not be successful but it has the support of the Cairns Historical Society, The Australian Council of National Trusts and is on The National Trust of Queensland Register. (31st March 2005). The Cairns Yacht Club has announced a Centenary Regatta for the week ending 30th March 2008. The Cairns Tropic Jazz Club, of which I am the President, has combined with them to produce a Festival of Music to commemorate the musicians who have played the Aquatic over the past 90 years. Here are some comments on the statements made in your letter to me. I do not accept that the Cairns Port Authority has delivered unprecedented public waterfront access and amenity in Cairns. Quite the contrary , over the past 30 years the Cairns public has lost a great deal of their beloved waterfront and amenities, boat ramp, Historical Marlin Wharf, Hales Wharf, and particularly views of Trinity Inlet and access due to the activities of the Cairns Port Authority. I and my colleagues a not aware of any extensive community consultation carried out by the Cairns Port Authority or that any consultation with the community has occurred at each stage of the Cityport Project. That is simply not true. That the building structure called "Harbour Lights" was not open to any transparency or public consultation despite our concerted effort we still have not been able to get the details of the transaction the CPA had with the developers. It is still secret. I strongly objected to the fact that 5,000 of our City folk signed a petition that was presented to your government who treated it with contempt and took 12 months to answer disregarding our plea to save the Cairns Yacht Clubhouse. I objected again when my ePetition was handed to you by Desley Boyle in a closed shop manner and you sent a letter to the Clerk of the Court who eventually told me what had happened. I lost confidence in Desley Boyle and asked Lawrence Springborg to present the main petition. The question is, how can you put all this injustice right and give the people of Cairns what they justly deserve to have. A place that they have cherished and helped build over a hundred years. A place that is an integral part in the history and fabric of Cairns Community like no other building in the City. I suggest that the Government remove the Certificate of Immunity you have placed on the Cairns Yacht Club building and allow Cairns City people the chance to re - nominate the building for further consideration of a State Heritage Listing. This way you will save face and be not embarrassed when the Centenary hits the National papers in March. Cairns Tropic Jazz Club Inc. 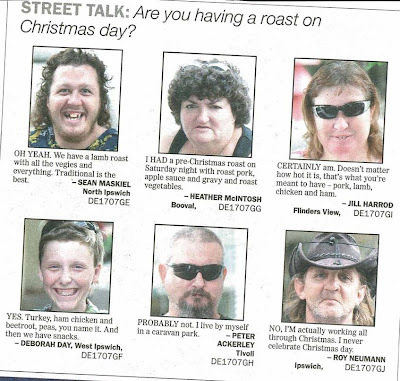 The Cairns Post appears to be running out of ideas to fill their newspaper over the festive season. 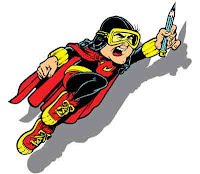 Therefore they've launched a campaign whereby they've asked readers to send in their jokes for publication. What does Santa Claus and Michael Jackson have in common? They both leave childrens' bedrooms with empty sacks! We now have the odd, although perhaps not entirely unexpected, situation whereby people who grew up under an oppressive State Government - a Government that often used repressive laws against ‘dangerous drugs’ (among other things) to persecute political opponents - now uphold, justify and from time to time further extend those same laws. In the early 1970s, when most members of Team Beattie (now Team Bligh) were in short pants or mini-skirts, and a few were still in nappies, Jo Bjelke Petersen was Queensland Premier and his soul-mate Richard Nixon held sway in Washington DC. Just like Nixon's counterparts in Britain and Canada, the US President appointed a rather conservative group of people to investigate the ‘marijuana problem’ and recommend solutions. Nixon then encountered the same problem faced by his overseas equivalents. his expletive-deleted Inquiry didn’t say what he wanted. 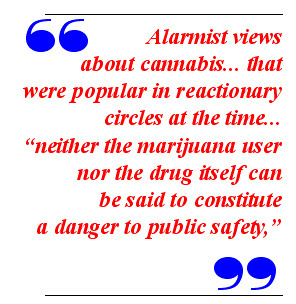 Rejecting alarmist views about Cannabis (aka Marijuana), views that were popular in reactionary circles at the time, the US Shafer Report said that "neither the marijuana user nor the drug itself can be said to constitute a danger to public safety," and recommended to Congress that "citizens should not be criminalized or jailed merely for private possession or use." Nixon wasn’t happy – but at the time, the public didn’t know just how pissed off he was about the Shafer Report. Nor did we get a rounded account of the grounds for Nixon’s displeasure. However, the former US President’s audio-taped conversations at the White House were soon to become public property in the most spectacular fashion, bringing his Presidency to an abrupt end. Yet not all the tapes were released in the 70s. Some surfaced more recently. In a tape released to the public just a few years ago, Nixon discussed the Shafer Commission and his outright rejection of its conclusions. Parts of the transcript, with commentary, are reproduced below. Consequently, we can now examine - in all their glory - the intellectual foundations of the 30+ year old ‘War on Drugs’, a ‘War’ formerly declared by Nixon in the early 70s that has never ended since. It is the War that predated by three decades the even more farcical and bogus War on Terror. It’s a War that has spawned a trillion dollar illegal industry worldwide. It’s a War that continues, each week, even in our pleasant part of the world, in magistrates courts, police stations and prisons - to the detriment of the persecuted but the undoubted advantage of all those involved in prosecuting this never-ending assault on freedom of choice, from police helicopter pilots to prison workers, defense lawyers to psychiatrists and social workers. Now, you may be wondering, what does it matter what that old goof Nixon said in the White House all those years ago? After all, Nixon is long gone. The political elite in power today is far more rational and sophisticated, isn’t it? Well, perhaps… but it would be nice to see the evidence. After all, far from pulling up stumps on the prohibition of Cannabis, the Labor Government in Queensland has extended Prohibition into areas of life previously unaffected. 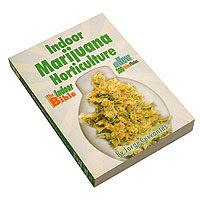 One day, when historians gain access to the records of our times, we may learn that a high quality discussion actually took place around the Beattie cabinet table in the late 1990s, when Queensland passed a law that has since been used to criminalize people who own pamphlets about Cannabis horticulture. It may be that particular curious twist in ‘our’ War on Drugs (which goes much further than the USA ever did) was discussed, debated, subjected to scrutiny and finally agreed because of clearly articulated, logical arguments. We may even obtain a transcript of high-quality ALP Party Room discussions from the time it was debated at length by caucus. Perhaps those tapes exist – and historians in coming times will bring them to light… but if so, it’s odd that nothing resembling quality discussion ever seems to make it into Hansard. Indeed, Parliamentary debates in Queensland, where civil liberties are at stake, are notable for their vacuity. If these folk are looking after our civil liberties, no wonder our liberties are disappearing fast. How quickly veterans of the moratoria seem to have forgotten what it’s like to be on the receiving end of irrational criminal laws applied in a selective, discriminatory way! In this policy area, if not in others, we have a State Parliament comprised largely (perhaps entirely?) of Me-Too’s, each willing to play his or her own little role to raise the stakes just a little higher within this jurisdiction, in support of the 35+ Drug War. I call that sad. 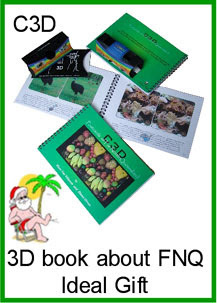 But enough of the present! Let’s not criticize ourselves - or wince at the politicians we choose to represent us. Let’s not bemoan their shallow conformism, hypocrisy and failure to exercise scrutiny when legislating away even more of our rights and freedoms. Instead, let’s all enjoy a chuckle at someone non-threatening, whom we can all agree was a real funny guy – someone now safely gone from our lives (except for the small matter of his legacy). that out of this sonofabitching, uh, Domestic Council? . does not lead to hard drug use (see box below). in general. These are the enemies of strong societies. the Jews, Bob, what is the matter with them? 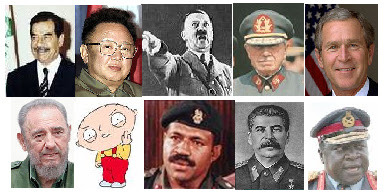 there's so many, all the greatest psychiatrists are Jewish. I want to find a way of putting more on that. Some folk may misunderstand this article to be an ‘endorsement’ of Cannabis use – or even if they don’t, choose to misrepresent it as such. For what it’s worth, my view about Cannabis is similar to my view about coffee, syrup, aspirin, jakfruit, bleach and olive oil. I’m aware that many folk use these things. I believe they should be able to provide, obtain and use them without facing criminal sanctions. Do I consequently ‘endorse’ coffee, syrup, aspirin, jakfruit, bleach or olive oil? Nope. Do I believe it is good to use these things in all circumstances? No I don’t. Well then, do I support going to ‘War’ against these various things? No, I don’t support that. Actually, I think it’s nuts. A fair go for Judge Bradley? Howard’s End. Due process to be resumed?